SelectPdf Library for .NET – 2018 Vol 1 has just been released. Together with the full featured PDF library, the community edition of our SelectPdf Free Html To Pdf Converter for .NET v18.1 was also released. The release contains overall speed improvements and bug fixes. The 2 products can be downloaded from our website or via NuGet. 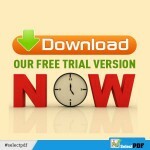 SelectPdf also offers an optimized version of the PDF library for x64 systems. This entry was posted in HTML to PDF Converter, PDF LIBRARY for .NET, HTML to PDF Library, Press Release, Releases HTML to PDF, Pdf Library for .NET and tagged download free trial, download selectpdf, html to pdf converter, new release, pdf library on March 19, 2018 by selectpdf.